I’ve written, deleted, and re-written this blog for months. It’s a tough subject, and it’s hard to be honest without offending, or encouraging while still being truthful. But in light of everything that’s being said about the recent suicide of a beloved actor, I need to write this. Again. You see, not much offends me. Things anger me, confuse me, sadden me, sure. But not a lot hurts my feelings. But I’ll say it: I’m offended at some of the reactions to the death of Robin Williams. Straight-up offended. As if it’s our place to pass judgement on a man’s death. As if our opinions on the circumstances surrounding his life and death hold any weight. As if our own experiences give us any modicum of expertise with regard to the experiences of another. I’ve seen a lot of people who claim they overcame depression, so someone else should be able to, as well. As someone who has battled depression and anxiety for decades, I still have no ounce of justified judgement towards someone fighting a similar battle. I’ve seen even more complete misunderstanding and disregard for mental illness. The fact is, depression is an illness. Sometimes it’s temporary, like post-partum depression or seasonal affective disorder. Sometimes it’s based on circumstances, like bills or illness or difficult relationships, and can thus change with the situation. Sometimes, though, it’s chemical, it’s through no fault of the sufferer, and it’s STRONG. Chemical depression CAN be overcome with prayer, but just because it isn’t sometimes doesn’t mean the person suffering has no faith. It doesn’t mean the person is weak, just as requiring insulin says nothing about a diabetic, other than the fact that they’re diabetic. Depression is a symptom of a chemical imbalance that must be corrected and observed constantly, or else it will quickly overwhelm. Depression is an ILLNESS, not a choice, not a lack of appreciation or contentment, not a weakness or a fault, and it most certainly is not selfish. Ahh, selfishness. This is what so many of the judgements I’ve seen seem to get caught up on. The selfishness of the sufferer who chose to end their life. Does suicide affect so many more people than just the one who decided to take their life? Absolutely. But how quick we are to forget that mental illness affects the family and friends of the sufferer in life, not just in death. The loved ones of those who are mentally ill have long been experiencing pain, yet we rarely – if ever – check in with them and consider how they’re affected. How quick we are to dismiss the suffering of the depressed or mentally-ill person, alive or otherwise. We overlook the lifetime of far-reaching pain until it makes headlines. I’m not here to argue the theology of suicide, nor do I believe that death by one’s own hand brings about a poetic release or freedom, but I will say, LOUDLY, that mentally ill persons do not think logically. You and I can think logically, yes, and using our serotonin-producing, non-muddled-up brains we can look at the circumstances surrounding someone’s suicide and decide that it wasn’t worth it, it wasn’t that bad, or they were selfish cowards. But just because something doesn’t seem to make sense to us doesn’t make it untrue. Just because you’ve never been so overwhelmed by darkness that you thought death was the only life for you DOES NOT MEAN it did not appeal to someone else. In discussing mental illness recently with a friend, she said that mental illness “gummed up” her brain, and it was the best description I’ve heard yet. Your brain may work, firing on all pistons, using logic and reason and recognizing cause and effect and multiple escape routes. But a mentally ill person’s brain does not. I need glasses to see clearly and you may not. This does not mean that because I need help to see, your eyes are better than mine. It means I need help to see. All of us, mentally ill or otherwise, have the same need and dependence upon the same chemicals and hormones to maintain a sense of balance and happiness in our brains. Really, we’re all a slight shift away from suffering, so who are we to pride ourselves over those who need what we need but can’t seem to naturally produce what we can? I’ve lived my whole life with mental illness in the form of a bipolar mother. Is it hard? YOU BET. Do my struggles with her illness change her? In no single way at all, ever. It’s been a long road, and a very difficult one. Sometimes she does things that just make no sense… but they don’t have to. Just because I cannot empathize with her suffering does not mean her suffering is any less real. My confusion does not heal her. My frustrations do not heal her. Even my hurt does not heal her. Because SHE CANNOT HELP IT. No matter how much I want her to not be mentally ill, it won’t change the fact that she is, so I can either love and embrace her as she is, or I can live life constantly disappointed. A few times, in her darkest of days, she has even tried to hurt herself, and as a young girl who did not understand mental illness, I was offended. My feelings were hurt, I was mad, and I thought her selfish. But just as a thirsty person will drink, a mentally ill person will do what their body is telling them to. Someone with Tourette’s or Parkinson’s cannot control every movement their body unwillingly makes any more than a mentally ill person can control every thought or action they take. Cop-out? To someone who does not have understanding or empathy with regard to mental illness, maybe. The fact remains that no matter how hard it is to love someone who is mentally ill (and it’s okay to admit that it’s hard), our suffering does not negate or outrank theirs. Robin Williams, specifically, also dealt with addictions many times during his life, further proof of his suffering, his inability to control himself, his inability to behave like a “normal person” or think clearly. Robin Williams suffered a great deal more than any of us will ever understand, even those of us who have battled the demon of depression and stepped back from the ledge just in time. The truth is that we don’t know what he was going through. We don’t know what he thought or felt or lived or saw. We do know that he made us laugh and cry and quote a lot of movies, and we should be grateful for the impact he had on our childhoods. But we should not and CANNOT pass judgement on the very last choice he made, no matter how much that choice hurts us. Because it hurt him, too. Because it may have been, in his gummed-up brain that just wouldn’t submit, the only choice he had. Again I say, nearly two years after first writing this post, that suicide will never make sense to us, those who are left behind. It will never appeal to us, those whose mental state is not gummed up, clouded, those of us who do not hurt just being awake. Their reasoning will never make sense to us, but it doesn’t have to. We aren’t owed an explanation. We are expected to care and be kind human beings. Let Kate Spade’s bright bags and Anthony Bourdain’s zest (pun intended, he would have rolled his eyes) be a reminder that we cannot always see mental illness, we definitely cannot predict mental illness, mental illness is not a stereotype, and mental illness is real. You know someone who is suffering, I promise you. You may not know they’re in pain, or you may roll your eyes at their frequent posts you deem to be attention-seeking or overly dramatic. It could very well be the person you least expect to be hurting. That’s the thing about depression – it’s not just sadness, it’s pain. Having every comfort in the world doesn’t preclude someone from experiencing pain, and as you know, pain cannot always be seen. No one is ever too rich, too bubbly, too healthy, too young, too famous, too privileged, too religious, too smart, or too anything to hurt. No one is ever too anything to struggle with depression. And none of us are ever enough of anything to pass judgement on any other. If we continue to publicly pass judgement and name-call those who are suffering from mental illness, especially those who are no longer alive to explain their pain, we will make it even harder for someone who needs help to have the courage to speak up, reach out, and get what they need. Stop making it NOT okay for someone to suffer. Have some sympathy and maybe save a life. Wow… thank you so much for writing this. My father has Bipolar Depression as well as manic Bipolar. No matter how much he hurt me, I can’t help but feel sympathy, even though everyone tells me he can keep it under control with medication. This was comforting to see that there are other’s out there that are going through this too. Mental illness is not for the weak hearted, and it is definitely not fake or an attention seeker!!! 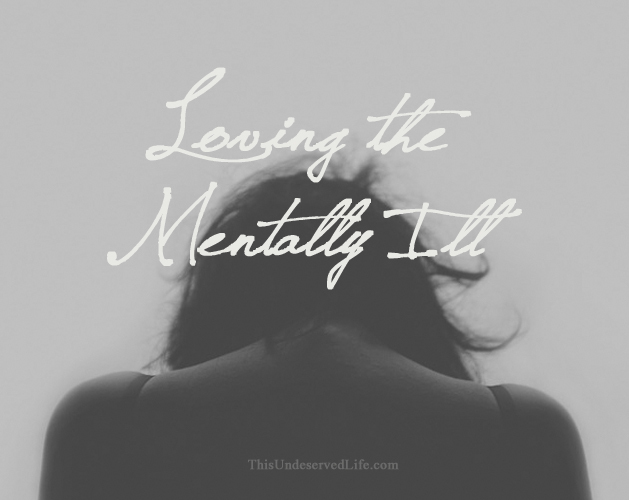 I can really relate to your thoughts and feelings about mental illness through this post. Thank you!